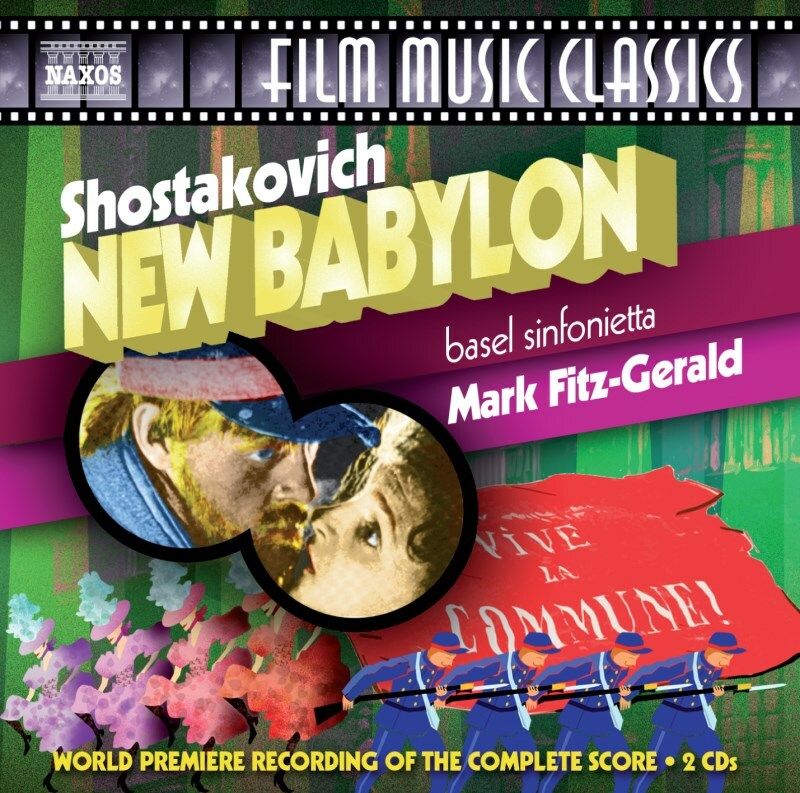 This recording of New Babylon, one of Shostakovich’s most inventive and truly symphonic film scores, is the first complete recording of all the surviving music from the original ‘lost’ manuscript full score and the first to use five solo string players only, as conceived by the composer. A remarkable collage of marches, can-cans, carnival music, tumultuous rhythms and musical quotations, New Babylon bristles with witty dissonance and brassy ebullience, emphasizing the film’s content rather than its visual surface. Mark Fitz-Gerald’s two previous Naxos world première recordings of Shostakovich’s film scores for Alone and The Girlfriends have been highly acclaimed.